As a global leader in grinding machine technology, Toyoda offers an extensive lineup of high-performance universal, cylindrical, camshaft, and crankshaft grinding machines. Originally designed for high-production automotive manufacturing, these grinders excel in the most demanding applications. Our grinding legacy is founded on the TOYODA STAT® BEARING and floating plate ball nut. These patented technologies optimize performance while eliminating bearing wear for long-term machining accuracy. Toyoda’s general purpose grinding machines deliver unmatched accuracy for the most demanding grinding applications. 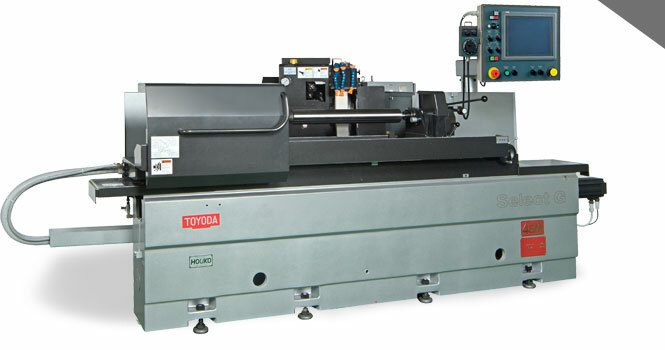 Toyoda’s cylindrical grinding machines ensure high precision after years of service. Each machine features the TOYODA STAT® BEARING to prevent metal-to-metal contact for unmatched longevity. Toyoda’s camshaft and crankshaft grinding machines are designed for the demanding, high-volume automotive market. Copyright © 2019 DC Brewer Machinery - All Rights Reserved.